Kings County Behavioral Health recognizes that Wellness is Essential and to live up to our motto, ﻿"Wellness Starts Here," ﻿we've listed a number of resources that promote wellness. KPFP is a 501c3 Non-Profit Corporation whose focus is explained with one powerful word Prevention! Learn about the awesome things they're doing in our community. 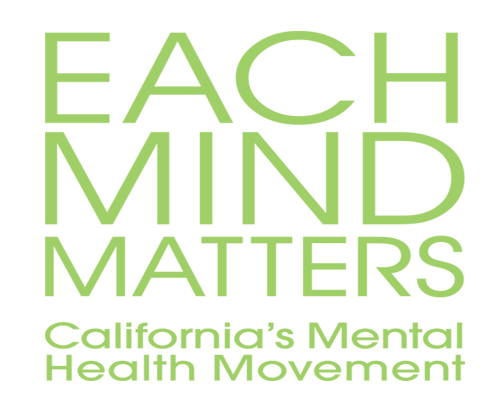 Each Mind Matters is California’s Mental Health Movement. We all have mental health. As with our physical health, sometimes we are doing well, other times we could use some help. Our minds deserve the same attention as our bodies. Early support and help for mental health challenges can reduce suffering and save lives. But not everyone who wants and needs help reaches out to get it. One of the greatest barriers to wellness is stigma. Each Mind Matters focuses on the elimination of stigma recognizing that this is essential to prevention, early intervention and support for those experiencing mental health challenges. Join the movement because Each Mind Matters. This Movement is also going on in our Hispanic communities called SanaMente. May is Mental Health Matters Month from Each Mind Matters on Vimeo. The SOURCE LGBTQ+ Center hosts an monthly Pop Up Center in Kings County. The Pop Up Center is held the on the second Tuesday of each month. The meeting is from 6pm to 7:30pm and is funded in part by the Tulare-Kings Suicide Prevention Taskforce. The Pop Up Center will begin on March 8, 2018 and meet each month. What is mental health? What are some myths and facts about mental health? Is recovery possible? What about help for veterans? 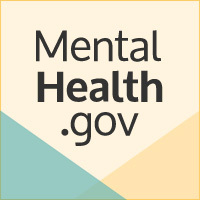 Get these questions answered at mentalhealth.gov. This resource is also available in Spanish. 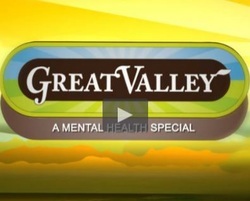 ValleyPBS brings greater awareness to mental illness and its impact on the Valley with the locally produced program, Great Valley: A Mental Health Special. This program features profiles of Valley residents touched by mental illness and a panel discussion of experts addressing the many aspects of mental illness; how it affects the people, places and economic vitality of our community. One in four American adults are living with a diagnosable mental illness in a given year, but many of them are afraid to reach out for the help they need. 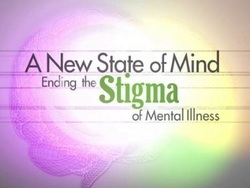 “A New State of Mind” is a video documentary that features just a few of the millions of Californians who are refusing to stay silent while untreated mental illness takes an unnecessary toll on our families and communities.